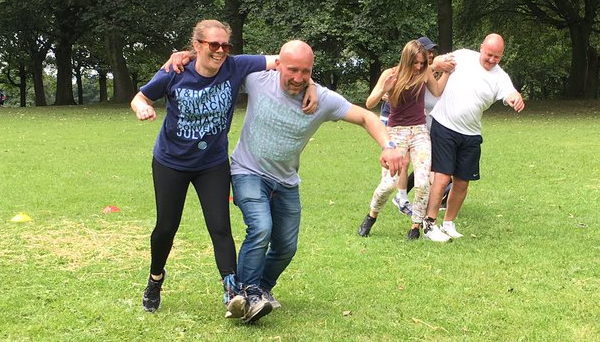 The Leeds recovery community got together for a day of school-age sports at Woodhouse Moor in Hyde Park. Events included rounders, the three-legged race, egg and spoon race and a sack race. There was also a picnic with food provided and shared by everyone. Jo Bryden who manages 5 WAYS said: “Events like this are important for those in Leeds who have put their substance misuse behind them. It’s a reminder that there’s a whole range of organisations and individuals working to help people sustain their recovery”. Jo continued: “It was also a great opportunity for service users and the local agencies to get together and just have fun. It reminds us all that we are part of a larger group all doing similar work towards one end goal”.